Economists at ASB brought forward when they believe the Reserve Bank will cut interest rates following another gloomy business confidence survey. On Tuesday the Quarterly Survey of Business Opinion (QSBO), the leading survey of its type in New Zealand, showed businesses were more gloomy about their own activity over the coming months than in any quarter since 2012. For the first time in more than six years, more businesses expect a decline in their activity in the next three months than expect an improvement. The Institute of Economic Research (NZIER) warned the survey showed further downside risk for economic growth, which has already been slowing after two weak quarters in the second half of 2018. 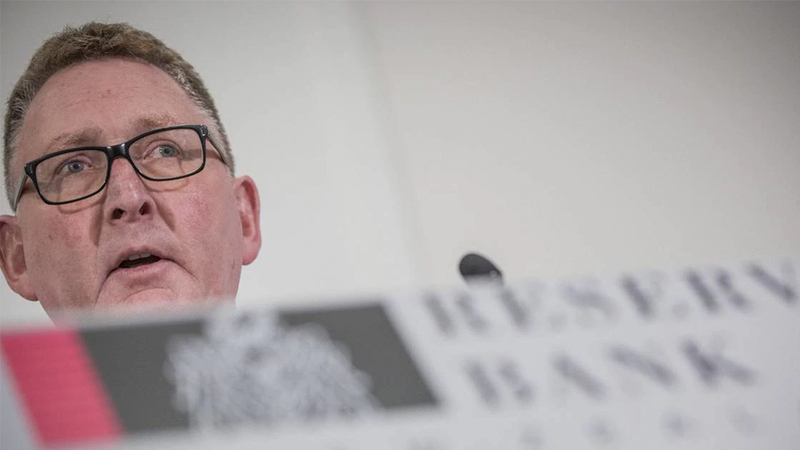 ASB said the survey suggested that the economy would expand by 0.4 per cent in the first three months of 2019, half the rate of expansion which the Reserve Bank has forecast. As a result, ASB senior economist Jane Turner said the bank was now predicting the Reserve Bank would cut the official cash rate by 25 basis points in May, then again in August, taking the benchmark rate to a new all time low of 1.25 per cent. ANZ, which became the first major New Zealand bank to predict OCR cuts in 2019, is forecasting that the Reserve Bank will wait until August before lowering the OCR, but the results of the QSBO “skews the balance of risks towards an earlier cut rather than later”. The OCR has an influence on the rate at which consumers pay for loans and earn on deposits, although the relationship has become less immediate as interest rates test new lows. Nevertheless, it does have an impact on the exchange rate. After the QSBO was released, the New Zealand dollar dropped slightly on expectations that it made an interest rate cut more likely, sooner. The latest QSBO revealed a net 1 per cent of those surveyed expect their own business to see a fall in activity in the coming quarter. It is the first time that those expecting a decline have exceeded those expecting an increase since September 2012. Asked about the general outlook for the economy, a net 27 per cent said they expect conditions to worsen in the coming year. The general outlook question is considered a less meaningful measure than what businesses expect about their own activity. Presenting the results of the survey, NZIER principal economist Christina Leung said by her nature she tried to search for the positive in any report, but the latest QSBO was “comprehensively negative”. Leung said the results were consistent with a continued softening of annual economic growth, possibly to below 2 per cent. The New Zealand dollar dropped slightly on the survey’s results. In the construction sector, businesses were both facing sharply increased input prices while also cutting their own prices. Architects – seen as a leading indicator for how construction will perform in the coming years – reported a weakening in the pipeline of future work. The pipeline of residential construction work for architects fell to the lowest level since late 2009. Profitability remains weak as business face continued cost pressures while being unable to pass on the higher costs to their customers. Most of the responses were received after the release of the Tax Working Group’s final report and before the Christchurch Mosque shootings, NZIER said.